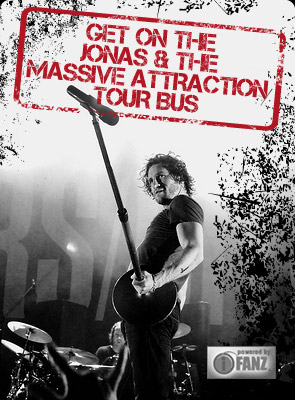 Jonas & The Massive Attraction have confirmed a special 10th Anniversary Party performance in Magog, QC on Friday, November 14, 2014 at 8:30 Pm. It’s been 10 years since the band released their self titled debut album “Jonas” and to celebrate, they’re playing four very special 10th Anniversary Party shows in Magog, Quebec City (Nov. 22), Ottawa/Gatineau (Nov. 28) and Montreal (Nov. 29). The 10th Anniversary Party performances will showcase some hidden gems from throughout the band’s 10 year history alongside their hit singles fans know and love like “Edge Of Seventeen”, “Daddy”, “Show Me” and “Resipre”.